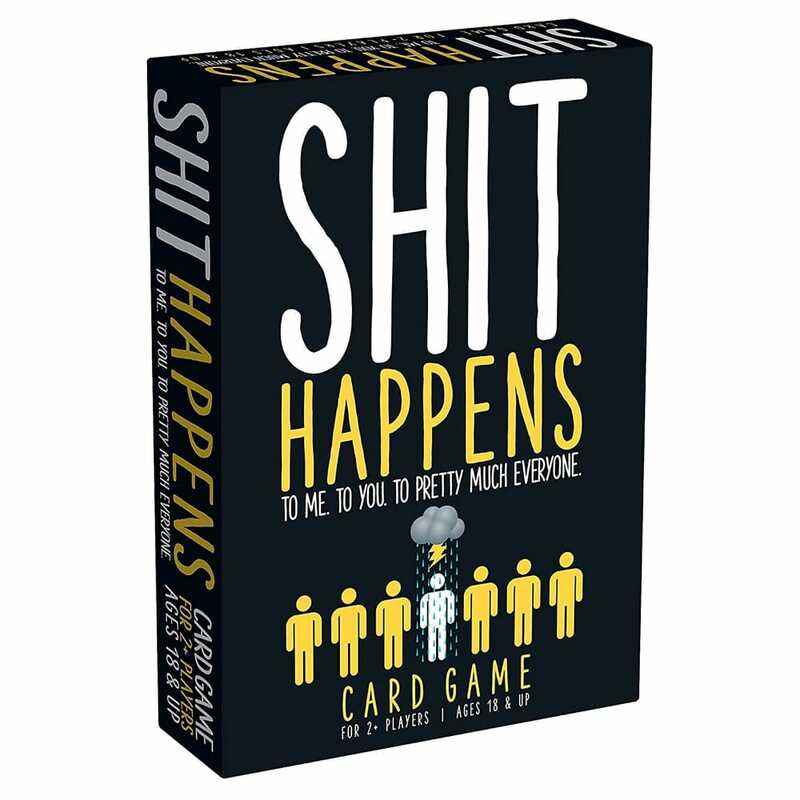 Card game for 2+ players ages 18+. Lets face it Sh*t Happens to all of us... So we might as well laugh about it. You're going to read some really messed up stuff on these cards and then rank them according to their 'sh*ttiness'. Rank sh*tty events in order to win points, includes 200 sh*tty event cards to grapple with and each one ranked according to a "professionally" compiled misery index. This game is lots of fun. Very simple to pick up and play. It’s not exhaustingly long like some games either. As explained on the box this is an adult game and this certainly cannot be disputed. The cards are very good quality. The only downside to this game is that after a while you would know the card values so it would lose that fun factor.